Unboxing the August 2014 BDJ Box! * | Vanity and Everything in Between. I initially thought that this would be an exclusive Shiseido BDJ Box exclusive because of the cover. But when I opened the box, I was surprised (in a good way) by the contents! 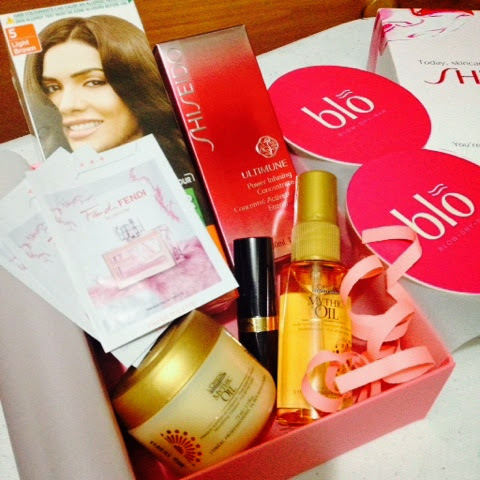 August BDJ Box mainly focuses on hair. Hair dye, treatment at Blo, and new (?) hair products from L'Oreal. 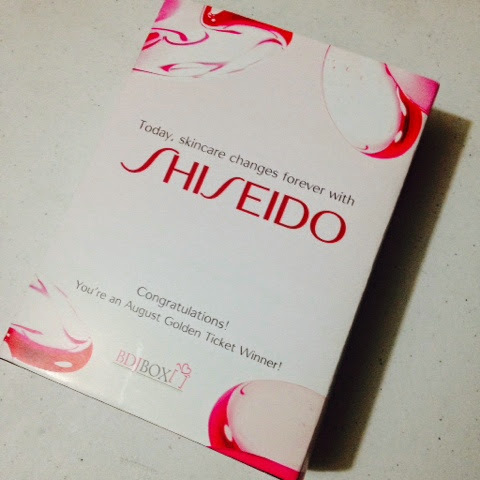 But the Shiseido product was the one thing that really caught my attention! 1. 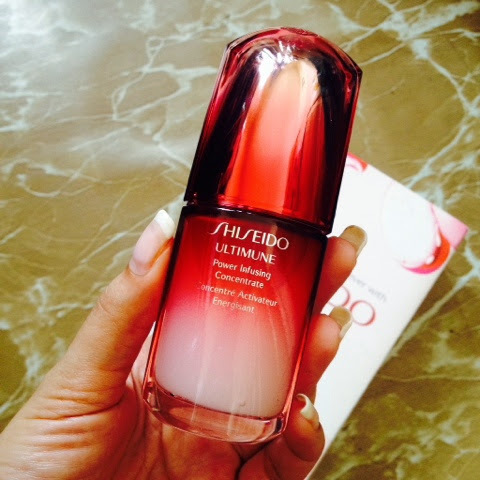 Shiseido Ultimune Power Infusing Concentrate (30ml, PhP3,500) - boost your underlying beauty with this luxurious essence from Shiseido. It has the ULTIMUNE complex that was developed from 20 years of dermatological research. With just one week of daily use, skin is supple and glows with health. When I heard about the Golden Ticket, I wasn't expecting that I'd get it since I didn't even know that I would be receiving the August BDJ Box. I'm pretty sure this was the Golden Ticket that BDJ was talking about because this product alone already costs PhP3,500! I mean, come on, it's no joke to receive something like this for free! 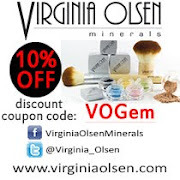 I've been using it for a week now and I notice my face feeling smoother and softer despite the lack of sleep. This one is a keeper! 2. Garnier Color Naturals (100ml, PhP199) - get natural looking and long-lasting colour, while leaving your hair soft and silky. Its easy to apply, non-drip cream formula is enriched with natural olive oil to nourish your hair as it colours. Keeping this one as I might change hair colour from light to dark by November when I go to Tokyo. My hair is pretty light right now as I have blonde highlights and even though I love it, I still sometimes miss having darker hair. 3. L'Oreal Professionel Mythic Oil Nourishing Masque (200ml, PhP1,095) - this masque has a paraben-free formula with Argan Oil & Cotton Seed Oil that works to balance hair's natural oil levels, targeting very dry ends to deliver intense nourishment for deeply nourished, disciplined and glowing hair. 4. L'Oreal Professionel Mythic Oil (125ml, PhP995) - Enriched with a special blend of Avocado and Grape Seed Oil, L'Oreal Professionel Mythic Oil cares and pampers all hair types. Nourishing even the finest hair, the formula leaves hair shiny and supple. I'm glad I received these hair care products because my hair needs all the TLC I can provide because it has the tendency to look dry because it's practically blonde. Started using them this weekend and so far, so good. 5. Revlon Super Lustrous Lipstick Shine (4g, PhP350) - indulge in the bold and luxurious shades of Revlon's most iconic lipstick. It's LiquiSilk formula seals in colour and softness.Delight in its dazzling array of fabulous and fashionable shades, you're sure to find one you'll love. The shade I got is brownish red. Perfect for fall/winter. Will use it in my Tokyo trip! Another BDJ Box that's super worth it! The Shiseido Ultimune is the best contender for this box! Some of you may not find this box the best box BDJ has released but this box works just fine for me because I need everything in this box. As in everything! I need the Shiseido Ultimune as I need my face to be in its best state by next month for my new journey. I need them hair products to keep my hair looking healthy. We recently moved to a new place and 95% of my things are packed in huge boxes including my perfumes so having Fan Di Fendi in the box is useful for me as I always wear perfume. Thank you to my BDJ family for the continuous generosity of sending my a box every month! I'll always be grateful for the surprises that you send to my doorstep. BDJ Box for October is now open for subscription. Be sure to go to bdjbox.com to subscribe to their beauty boxes! 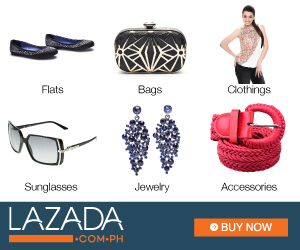 Monthly subscription is PhP580 only!